If you are an employer looking to provide health care options for those new workers still in their initial eligibility stage, a few options are available in the market place that are affordable and acceptable ways to provide coverage. Short term health care can be used to cover employees who are not eligible for full time benefits, who are waiting on passing eligibility as new hires, have issues regarding citizenship or are on temporary visas, pre-Medicare retirees, or who are dependents of employees that only want single insurance coverage on the job. Cookie cutter insurance for any employer no longer works. When your workers are storming the gates because they don't qualify for standard policy issue or for current benefits, your responsibility as a benefits manager, HR professional, or business owner requires you to offer a way to hire and maintain quality employees who don't fit into the regular mold. If you are an employee in any of these situations, short term health care is a valid option.According to Insure.com, designed for healthy individuals and families, short-term policies can provide an affordable safety net for those who are transitioning from one life event to another without a basic health plan. Depending on the short-term plan, benefits can be wide-ranging, with some policies providing up to $5 million in individual coverage. Just as the name implies, these health insurance policies are a temporary solution to a short-term insurance gap. Most plans last one to six months and can be renewed for a total of 36 months. The application process is simple and policies can be issued the next day. Most insurers take credit card payments. The most important thing to remember is that a short-term plan is not designed to cover pre-existing conditions. These are typically defined as any condition you had during the 36-month period prior to the start of coverage. The "look-back" period for these conditions can vary by state. The insurance department in your state can tell you what laws apply. It's important to answer the health questions on the application honestly. Otherwise, you could wind up with a denial of any treatment related to your pre-existing condition. All short-term policies have very specific limitations and exclusions, so read the policy carefully before you buy. According to eHealthInsurance, short-term health insurance plans provide you with coverage for a limited period of time, and may be an ideal solution for those between jobs or those waiting for other health insurance to start. The application process for short-term health insurance is usually simpler than standard, longer-term health insurance. Short-term health insurance plans are designed to protect against unforeseen accidents or illnesses, rather than to provide comprehensive coverage, and, as such, typically do not include coverage for preventive care, physicals, immunizations, dental, or vision care. Purchasing a short-term medical insurance plan will make you ineligible for any guaranteed issue individual health plans commonly referred to as HIPAA Plans. HIPAA plans are usually very expensive and are generally intended for people with pre-existing medical conditions who would have trouble getting health insurance otherwise. If you wish to maintain your eligibility for HIPAA plans, you should not purchase a short-term plan. Please consult your benefits advisor to discuss your rights under the Health Insurance Portability and Accountability Act (HIPAA) and other rights under state law. Short-term health insurance plans typically do not cover pre-existing medical conditions. The definition of a pre-existing condition varies by state, but, in general, short-term health insurance policies exclude coverage for conditions that have been diagnosed or treated within the previous 3 to 5 years. If you have an existing medical condition, you may want to research whether you can extend your current insurance. Employer-sponsored insurance can be extended under a government-regulated option commonly referred to as COBRA, which you should seriously consider if you have an existing medical condition. A short-term health insurance policy works like an "indemnity" plan, giving you the freedom to go to any doctor or specialist you like. However, most plans require that you obtain pre-certification from your insurer before you are hospitalized (except for emergency treatment). Without pre-certification, the plan may not reimburse you for hospital bills, according to Insure.com. Surgery, hospital care, emergency services, diagnostic tests, prescription drugs, follow-up office visits and even limited mental health care could be included under a short-term health policy. While many short-term policies are usually renewable for a total of 36 months, keep in mind that if you file a claim under your short-term policy your insurer will likely not renew the policy again. They might offer you another policy, but they will treat any injuries or illnesses that occurred during your previous short-term policy as a pre-existing condition. Most reputable insurers offer a 30-day guarantee of satisfaction and will refund 100 percent of your premium within this time should you decide you don't want the policy after all. In order to get your money back, you can't have made claims under the policy. Low premiums are an important perk to a short-term health insurance policy. Short-term health insurers have established pools of healthy people and families, each of whom will need coverage only for a short period. Given the low-risk characteristics of this group, the cost of insurance remains low for everybody because insurers expect few claims. Short term medical insurance coverage can protect you in the event of an unexpected illness or injury, according to Health Insurance Finders. Unlike many health insurance plans out there, short term health insurance allows you to choose your doctors and hospitals and pays for all covered expenses once your deductible and coinsurance amounts have been met. It is designed to provide coverage for major hospital, medical, and surgical expenses incurred as a result of medically necessary care for a covered illness or injury. Coverage is provided for daily hospital room and board, miscellaneous hospital services, surgical services, anesthesia services, in-hospital services, and out-of-hospital care, subject to any deductibles or rate of payment provisions or other limitations which may be set forth in the policy. 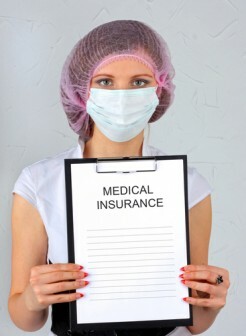 Unlike standard health insurance, these temporary short term health insurance policies always have a termination date. The expiration date of coverage is determined by the length of coverage you choose to purchase at the time of applying. Some short term health plans allow you to choose a monthly billing option for the specified length of coverage. This option allows you to terminate coverage voluntarily before the expiration date disclosed on the policy. Individuals who are temporarily out of work: Folks who are between jobs make up a large market for short-term health insurance, according to Insure.com. Employees who are newly hired: If you have just started a new job, you may be waiting to become eligible for your company's group health plan. This can take one to six months after your start date. In order to avoid a lapse in coverage, short-term health insurance can fill the gap. Recent college graduates: Many grads look for jobs offering health insurance benefits, but until they land full-time jobs, short-term insurance can fill the gap. People waiting to qualify for a standard health insurance policy: People applying for private-market individual health policies may not want to go without coverage while they wait for their applications to be approved. Having a short-term health insurance plan in place while you wait provides a seamless transition, and if you are denied for your standard policy, you still have basic health coverage through your short-term plan. If you reach the cut-off age of your parents' health insurance plan and are not enrolled as a full-time student, you will be dropped. In this case, you may be eligible for COBRA, but premiums can be very high. A short-term policy can keep you insured at lower premiums until you find a job that offers health insurance, or you enroll in an individual health plan. You might consider a short-term plan if you are temporarily without insurance for some other reason. If you have retired early, you may need coverage until you qualify for Medicare. Are Short Term Medical Insurance plans easy to get? Do you currently have health coverage that is not due to expire prior to your requested effective date of short term coverage? Are you, or your spouse, currently pregnant? Have you been declined coverage for permanent health insurance due to health reasons? In the past few years, have you received treatment for heart problems, stroke, diabetes, cancer, blood disorders, diabetes, alcohol/drug dependency, or HIV/AIDS? Answering yes to any of these questions may make you ineligible for coverage under a short term health insurance plan. Question #3 emphasizes the final example in the "who would purchase "section outlined above. If you are currently uninsured and shopping for health insurance, your first choice might be to obtain temporary health insurance coverage until you can find a permanent plan. How quickly can I be covered by a Short Term Health Insurance plan? In most cases, you can be covered within 24 hours. Unlike permanent health insurance, short term health insurance plans do not require a lengthy "underwriting" process. Your eligibility is determined by answering only a few questions. The application for a permanent individual insurance policy is much more lengthy and detailed as to your health history. In addition, a permanent policy application is thoroughly reviewed by the insurance company so that they may be certain the risk in providing you with health insurance is an acceptable one. If, on your application, you disclose health issues that cause concern, the insurance company may request medical records to better assist them in making a decision. This process can take several weeks at best, and may result in a decline of coverage. These are just some of the issues to consider when deciding if a temporary health policy is right for you. Since one of the major goals of health insurance is to provide long term financial stability and peace of mind, short term policies should only be considered in certain circumstances. Due to the limited nature of the period of coverage and the ease of obtaining this type of insurance, special attention should be paid to short term medical insurance covered expenses and short term health exclusions, because they differ from more permanent plans. If your budget simply won't allow for insurance premiums, then a medical discount plan from a valid Discount Medical Plan Organization (DMPO) may be your next best option. These plans are not insurance, but through participation with a nominal monthly membership fee, you and your family are provided immediate nationwide access to participating network medical and ancillary health care providers who offer reasonably good discounts at the time of service. Discount plans do not have any maximums, waiting or medical conditions typically seen as restrictions with insurance plans. Make sure you deal with reputable companies that are licensed to do business in your state and hold direct contracts with the networks, and you should also be able to get a refund of your money if you are not pleased with how the plan works. There are several very good nationwide DMPOs that you can find on the internet, including Careington International and others. Short term health care is a valuable tool to help you through times when regular health coverage is not available. Researching those policies can be challenging, so find a good agent that can help you navigate the various options in the market place. It's your health, so do your homework and make wise choices. Mark Roberts' professional sales background includes almost 30 years of sales and marketing in the tax, insurance, and investment markets. Additionally, Mark has been writing a healthcare blog for the past three years, found at www.yourbesthealthcare.blogspot.com, which is a topical weblog about various healthcare issues. He has been noted recently as the medical reporter for an online news service with more than 110,000 subscribers at www.thecypresstimes.com and he has been pleased to regularly contribute articles to magazines for both medical and dental topics both in the US and the UK. You can reach Mark at markr@careington.com.